Since 1882, our salt has been made with the same traditional artisan methods. Salt markers born and bred, we’ve been hand harvesting our world famous salt flakes from the coastal town of Maldon since 1882. Our salt works are run by the 4th generation of the Osborne family. Our soft crunchy flakes are loved by the chefs and aspiring cooks the world over. Seawater is carefully harvested on the spring tides every two weeks. There’s an art in temperature and timing which is our family secret. Our curious pyramid crystals have always been our company trademark. So much of the flavor of sea salt is in the shape of the crystals and the way they are experienced on the tongue. 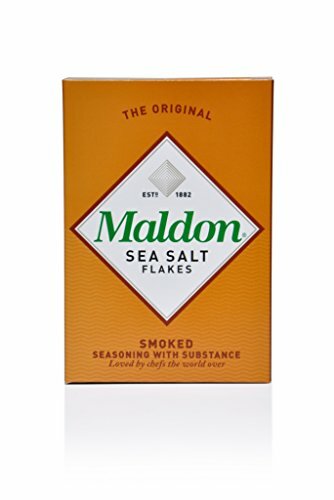 Maldon’s flakes release their saltiness with sweet precision and add another layer of texture and crunch. They are tactile and best served by taking a generous pinch and crushing between fingers and thumb. Approved by “Organic Food Federation”, our salt has a perfect balance of minerals with no additives. We are the official purveyors of sea salt to Her Majesty The Queen.